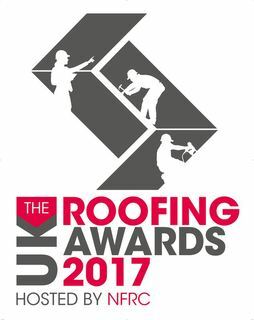 The National Federation of Roofing Contractors – the UK’s largest roofing trade association (NFRC) – is pleased to announce the finalists for this year’s prestigious UK Roofing Awards. Coinciding with NFRC’s 125th anniversary, and currently in its 11th consecutive year, this year’s event is set to be a memorable occasion. The grand final set to take place on Friday 19th May 2017 at Park Plaza, Westminster Bridge, London, where winners will be announced and trophies presented at a special luncheon. The event will be hosted by BBC Breakfast Presenter, Steph McGovern, and the voice of the National Lottery, Alan Dedicote. Sponsors for The Awards include: Associated Lead Mills Ltd, Axter Ltd, B&CE, Chandlers Roofing Supplies Ltd, Cromar Building Products Ltd, CUPA PIZARRAS, ECIC, Eco Green Roofs Ltd, IKO PLC, Klober Ltd, Lead Contractors Association (LCA), Liquid Roofing and Waterproofing Association (LRWA), Lead Sheet Association (LSA), M&J Group (Construction & Roofing) Ltd, Marley Eternit Ltd, Monier Redland Ltd, QANW, Radmat Building Products Ltd, Recticel Insulation, Rockwool Ltd, Sika Ltd, Single Ply Roofing Association (SPRA), SR Timber, Total Bitumen UK Limited, Triflex (UK) Limited and Wienerberger Ltd. SIG Roofing is Headline Sponsor.